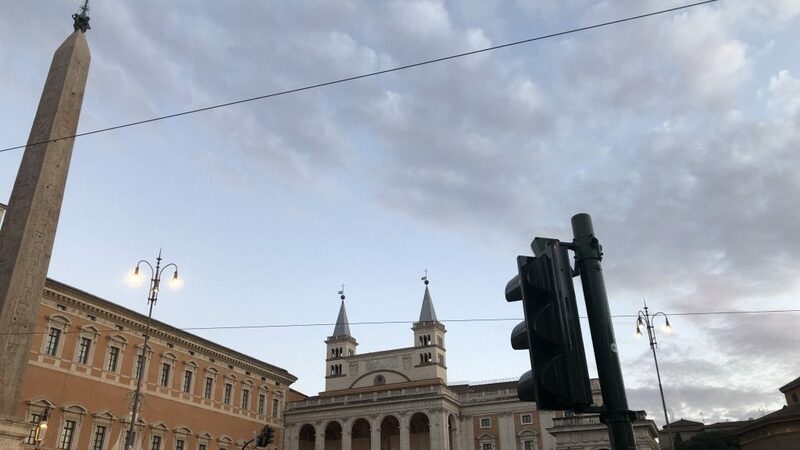 I arrived at the John Felice Rome Center a little less than a week ago and it has been a whirlwind of a journey to say the least. After traveling for almost 20 hours, I was thrown into more orientation activities than I could count. I was extremely overwhelmed by all of the information and the culture and the foreign language and so much more. I mean, I couldn’t even read the blurbs on the shampoo or conditioner bottles, yet alone adapt to a new life in such a short period of time. When I mentioned to people that I was considering studying abroad, I got the same answer from almost everyone: that it would be the most amazing, life changing experience and that I would never want to leave. No one told me I was going to be homesick. People mentioned it a few times here and there, but no one told me I was going to be THAT homesick. I have so many wonderful, caring people in my life that it was extremely challenging to adapt to a life with them so far away. The thought of wanting to jump on a plane back to the states has definitely crossed my mind more than a few times. However, I know that would be a mistake. I am so blessed to even have the option to study in a different country with so many new and exciting opportunities right in front of me. My friends and I have started to make lists of all the places we want to travel to in the next 13 weeks, which makes my stomach turn (in a good way, of course). Expect the unexpected. Like I said, homesickness was barely discussed in any conversation before I left. So, expect to be homesick. Expect to not be able to understand the Italians and their culture. Expect to cry a few times while you are adjusting. Expect for the homesickness to be gone with time. I have full confidence that mine will be because I have one of the best support systems at home. Life takes a few minutes to kick in. Please continue to keep up with my journey here in Europe. Next stop: Naples!